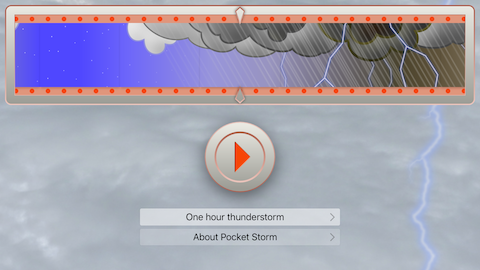 I'm happy to announce that Pocket Storm for the Apple TV is now available in the new Apple TV App Store. Apple's new set-top box ships today, and you can get your favorite thunderstorm on it. Better yet -- if you've purchased Pocket Storm for iOS, you can download the Apple TV app for free! And vice versa. It's a joint purchase, which means you can buy it once and then install it on any iOS or tvOS device you own. As always, I am donating 10% of Pocket Storm revenues to Freesound.org, because of the awesome service they provide to indie game designers and other artists. In particular, they provide CC-licensed thunderstorm noises to me! We showed off Seltani at Indiecade! To lots of people. Lots and lots. Not everybody was interested -- it was, after all, a text game in a hall crowded with flashing lights and VR headsets -- but plenty of people thought it was worth a look. 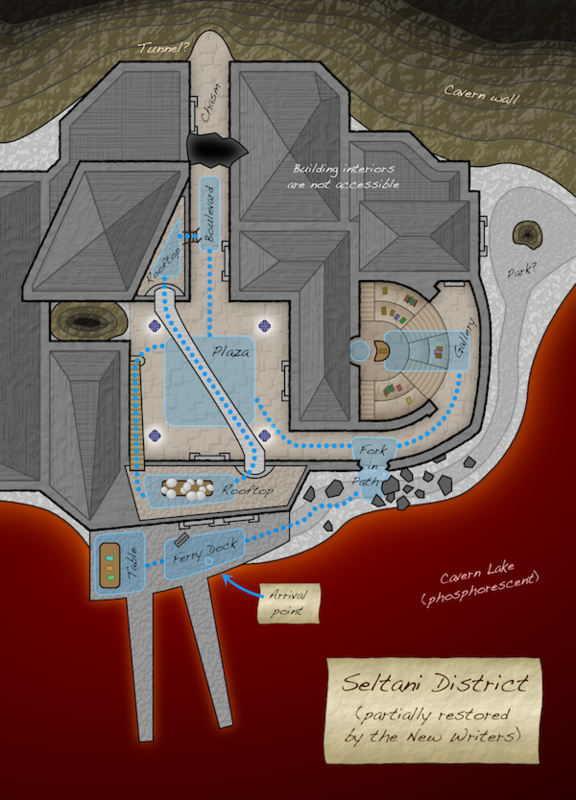 Some were Myst fans (or even Myst Online fans); some were old MUD users; some were familiar with Twine but had never seen a multiplayer Twine-like. In a wiser and more organized world I would have a story to tell about Indiecade, but it's not, I don't, and I'm moderately exhausted in a hotel as I write this. So you get lists. Last month I posted about the idea of a videogame category for the Hugo awards. A few days later there was a discussion thread on File770 (a prominent SF fandom news blog). The discussion was a good snapshot of community response to the idea. The petition that sparked that discussion thread went nowhere. However, I think it's worthwhile to put up a concrete list. The subject will certainly come up again, and I want people to be able to point and say "Yes, look, there are that many games every year!" I'm going to focus on indie and amateur interactive fiction titles, because that's my field. I've got nothing against big-budget SF games, but you can get a list of those off any game-industry news site. This is the wider field of games which might not be familiar to the non-gaming SF fan. Most, though not all, are short games -- two hours playtime down to ten minutes.